As you can see, winter holidays are over. Still, we can feel their atmosphere all around! There are attention-grabbing winter landscapes, cozy weather, and long-awaited meetings with friends and family. It is a pleasure to go outside and have a peaceful walk through the city. All these parks, alleys, and streets covered with snowflakes are so beautiful! Seeing that, we hope that you had enough time to relax. All in all, taking a break is the thing, which combines business and pleasure. Why? Well, 2018 here, so it is time to rethink your business strategy. In the end, even the smallest vocation brings you another way of seeing. Now let’s take a closer look at your online project. Are you happy with it? Would you like to change something? As the name of this post says, today we will help you with elevating the statistic of site visiting. For these simple reasons, we are glad to introduce you a crisp AMP technique. To start with, let’s think about the modern websites. Without a doubt, opening your browser, you can see a lot of attractive and feature-rich online projects. They offer you any product you need, so today it is hard to create a unique site. Still, the fact is that the biggest part of recent projects are not qualitative enough to keep the audience engaged. Honestly speaking, there is an impressing amount of slow websites. Their interfaces are not user-friendly and they have a poor navigation. The thing is that the owners of business sites are mostly focused on monetization. They get money from clickbates and things like that. As a result, people do everything to get more visitors and forget about the quality of their online pages. Without a doubt, it is a real problem of existing online projects. 2 Why Mobile Traffic Is So Important? Being a website owner, you should put yourself on the place of your customers. Can you see this variety of websites that offer you all the possible and impossible services? If you view out the statistics, you will see that more than 50 % of online shoppers will leave the website, which loads too long. Do you think that your project has a lightning-fast speed? Well, we hope you are sitting because today even 3-second wait means too long. That is why you definitely need to know more about AMP technique. 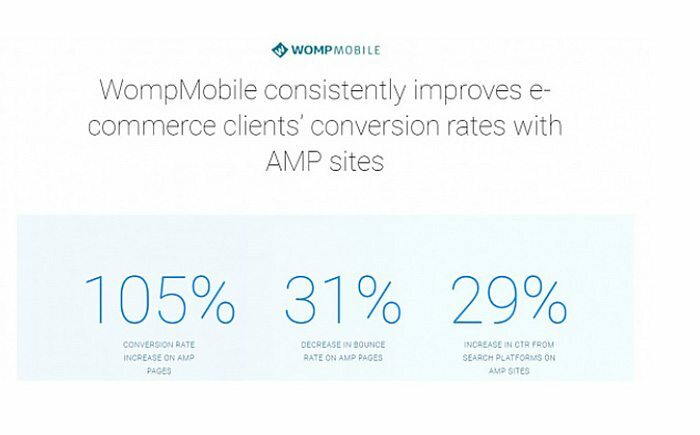 Before all else, AMP means accelerated mobile pages. In a word, this amazing technique was created to make your online pages load faster on mobile devices. Can you remember how boring and irritating this 5-second waiting is? And people also hate seeing third-party content when nothing else is loaded. Thus, the third-party content will load only after your main information. As a result, the web store you run will work quite faster and your visitors will see its content immediately. People will surely love your project thanks to its quality. To illustrate, check out the screenshot below. To sum everything up, with the help of AMP module, the content of your online project will load in 2 seconds or even less! By the way, AMP also works for the desktops but focuses on mobile devices. Why mobiles? Let’s see the next point. Why Mobile Traffic Is So Important? Before all else, we have for you these numerals. First of all, 5 billion is the number of mobile users worldwide. What is more, 50 % of population already use mobile phones. In addition, 54,64 % is the number of internet traffic that comes from mobiles. Furthermore, 3,5 billion is the number of active global mobile population. To end with, 80,6 million is the number of mobile internet users in the United States. Without a doubt, mobile traffic means a lot today because the biggest part of your customers are the people, who prefer using smartphones for online shopping. Needless to say, any traffic is important. That is why you have to be sure that your online project is not just visually pleasing. It should also work fast and load content rapidly. All in all, seeing a 5-second blank page, your potential buyers will leave the site to find a faster one. Another way you can capitalize on mobile traffic is by retargeting mobile users when they are browsing on their desktop, if that’s where most your sales are made. Their many retargeting platforms out there but here are two to consider. Yes, AMP is a young technique, which only starts its development. Still, there are already a lot of benefits you will get. For example, let’s see what Google thinks about it! Needless to say, Search Engines Optimization is not just a simple trend. It is a real strategy, which allows you to enlarge the audience without losing money. That is why it is important to get the higher results from such popular search systems as Google. So what does it think? To begin with, thanks to AMP, Google will add your online project to its carousel. Should we explain you why it is cool? To make a long story short, there will be more people seeing your website, which result in audience growth. Secondly, building your site with AMP, you will have a tiny lightning icon from Google. As you can see, it means that online project has a lightning-fast loading speed. Needless to say, such step will result in better traffic flow. Another vital aspect for any business project is a good reputation. Thus, with the Google approval, the website will look more trustworthy. 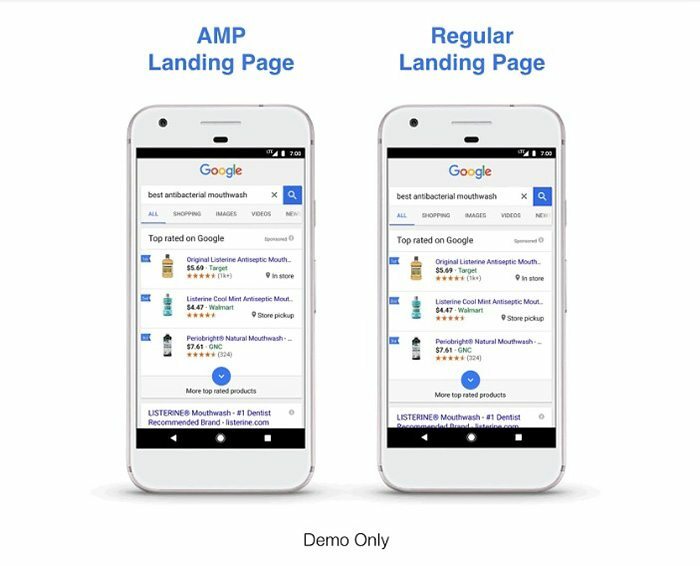 All in all, even Google recommends you to use AMP technique for a website! Basically, with the help of the module, it will take your website 2 seconds or even less to load. Seeing that, you may want to know how AMP works in action… That is why now it is time to move to AMP-ready templates. For today there are 2 Magento products that are already AMP-ready. You can check their information and even try live demos without a trouble. What is more, there is another template coming soon. It is called Trendy and has a powerful admin interface. Unfortunately, you are not able to view out the demo of Trendy today. By the way, the pros from Magento say that there will be more AMP-ready templates in 2018. Actually, each and every Magento 2 product v.2.2 will come with AMP module. Given these points, don’t miss the boat! You can be the first website owner who launched a gorgeous online shop with an AMP-ready Magento 2 theme! 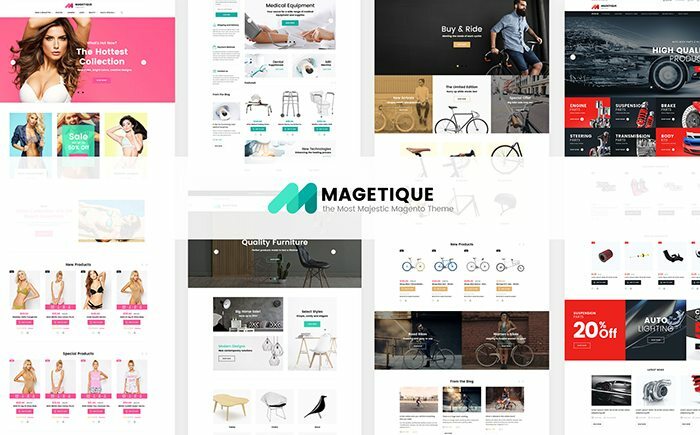 Finally, these are the hi-res Magento 2 themes we told you about. Both of them are feature-rich and contain AMP module. Unquestionably, you will be charmed with the quality of your future site thanks to these top-notch products. To sum everything up, don’t forget to tell us your opinion about these AMP-ready Magento 2 themes and the technique at all. Would you like to get it for your business website? Which of the mentioned templates would you choose? Maybe, there is someone, who already tried AMP? What do you think about it? All in all, leave your comment behind this post because we are always happy to hear from you!